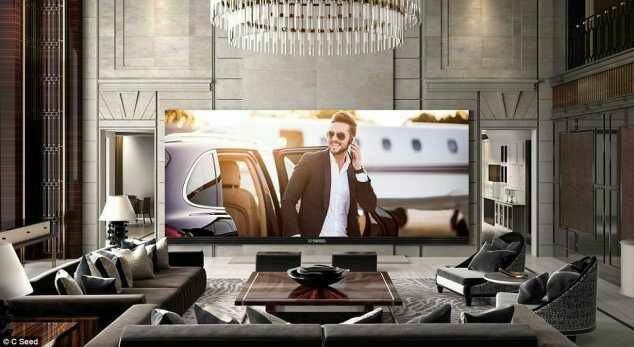 I will call this one magic Tv of course an Austrian-based C SEED has unveiled a monstrous $539,000 (€490,000) TV that stretches 262 inches (6.65m) diagonally and stands 8.44 feet (2.57m) high. 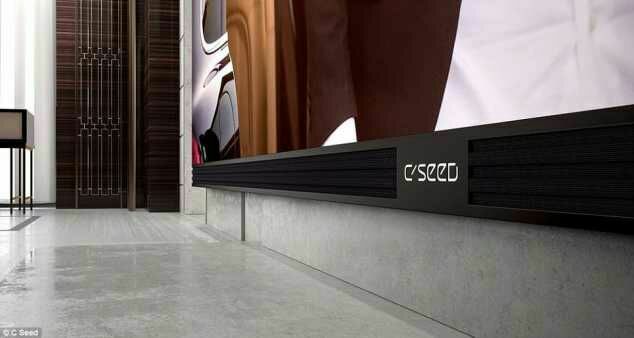 Dubbed the world’s largest of its kind, the C SEED262 boasts black LED technology that provides a 5,000 to one contrast ratio and is equip with a motorized custom fabric cover that can fold away at the push of a button. C SEED 262 is 262-in (6.65 m) diagonal length gives it a width of 20.16 ft (6.14) m and height of 8.44 ft (2.57 m). It has black LED technology that provides a 5,000 to one contrast ratio and ultra-high 800 nits brightness. The TV includes six or 10 high-end speakers for total quality sound in a 7.1 or 9.1 cinema surround configuration and a motorized custom high-end fabric cover that hides the screen. 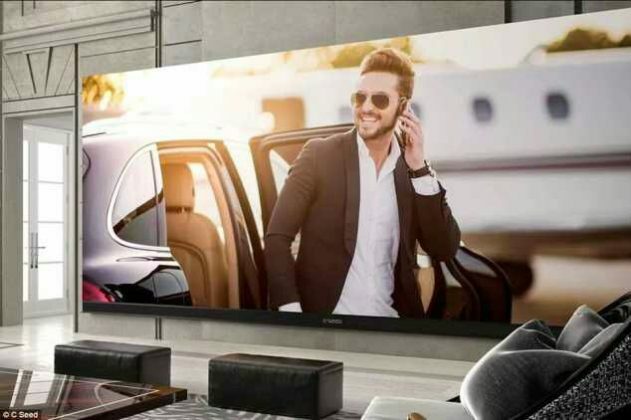 The display is designed with black LED technology for higher contrast, includes the latest UHD technology for a really dynamic picture and a color spectrum far beyond conventional TVs, and ultra-high 800 nits brightness for the perfect viewing experience even in bright daylight conditions. The speakers were developed by L-Acoustics, a French firm known for its quality loudspeakers, amplifiers and signal processing devices. 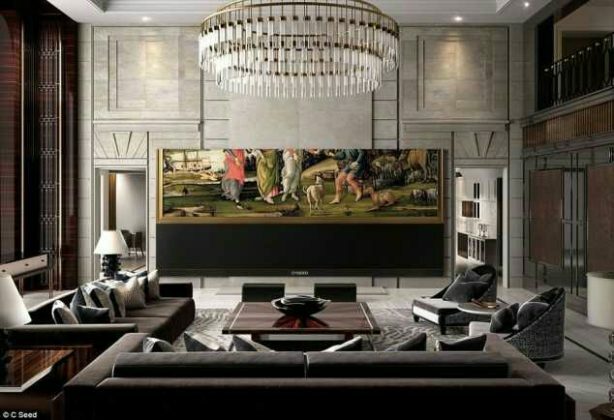 C Seed also offers full installation, for a $38,500 (€35,000) fee, which is tacked on to the purchase price of $549,000 (€490,000), which would bring the total cost to over half a million dollars. And ‘effective immediately, the new C SEED 262 is available around the world.